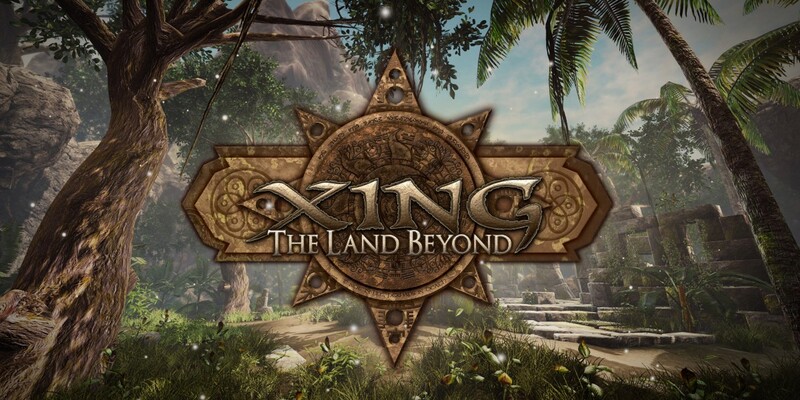 This time last year, the three-dev team of White Lotus Interactive ran a successful Kickstarter to support the development of a first-person puzzle adventure game for the PC called XING: The Land Beyond. The Kickstarter hit its reach goal of Oculus Rift support, so the trio’s spent a year now developing an environment-based world compatible with the latest in VR tech. I held an interview with them about what it’s like to put in days on end in a virtual world of their own design. Your body may be gone, but your life has just begun. In death, you will find yourself on a journey across a series of mysterious lands. You will encounter perplexing puzzles, trapped souls, and the power to change the environment around you. Spiritualism, mysticism and logic come together in the land of XING, where you will traverse mountains, deserts, forests, volcanoes and more. Obligatory: What’s your take on Facebook’s acquisition of Oculus? Koriel: Well, we’re surprised by this turn of events, especially for what it might mean for developers — but we can see the benefits for VR tech that this new acquisition can make. Let’s just hope that Oculus doesn’t get too much of a big head and forget its loving indie devs. John: We’ve enjoyed personal chats with Oculus employees in the past and certainly wouldn’t like to see that disappear with the new ownership. There are definitely a lot of negative responses to the acquisition within the current Oculus communities, but we hope that Oculus can use their newfound wealth towards the future of VR and the creation of fantastic products, while avoiding the negativity that surrounds Facebook in the tech community. What demographic do you expect to have a Rift? John: Right now, basically it’s enthusiasts and devs— anyone with an interest in VR prior to the Rift. There’s a huge lack of content for VR, because it’s really young. There’s a small and dedicated fan base for VR, but it’s not enough for any big company to step up and make a game. That’s going to be a big hurdle for the hardware guys. One thing Oculus has mentioned is that they’re looking for a killer app to make it sell. Nobody really knows what this will be yet. At the moment, Oculus seems to be focusing on the seated experience. For example, I’m sitting at a desk, and I can see something happening in front of me. 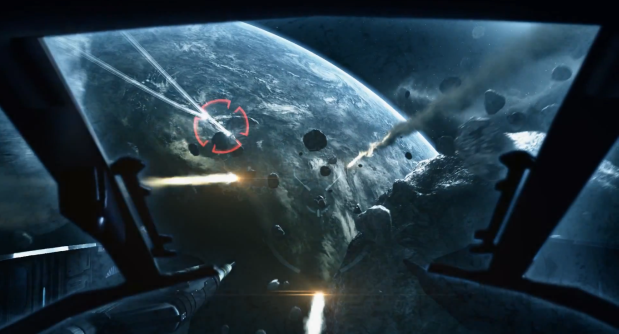 They’re working right now with the Eve Online guys on Eve Valkyrie, where you’re seated in a cockpit and get you get to fly around. The focus is here because there’s the least probability of simulator sickness, because there’s not a discontinuity between your locomotion and what you’re perceiving in VR. 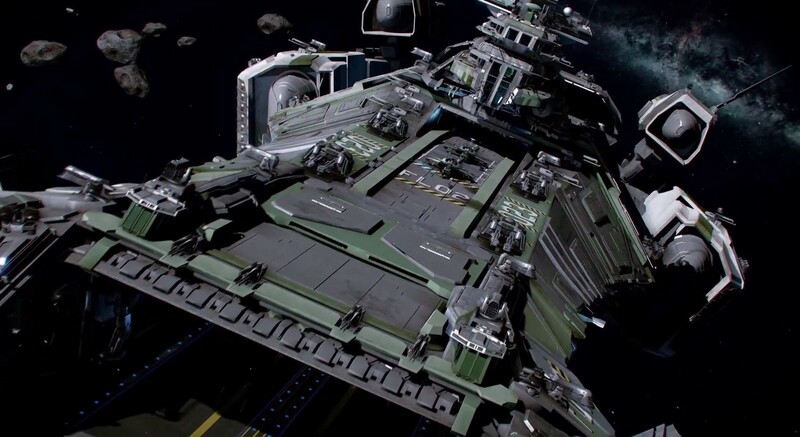 One game people are really excited about is Star Citizen. It’s a space fighting sim. People want to see the really grand scale, like a capital ship that stretches out in front of them for miles. Koriel: When people think VR, they want to see scale. James: Oculus as a company is very careful with the content they’re putting out there to demo. Palmer has this very robust vision of what VR could be, or should be. Oculus wasn’t cold to us, but has kind of been careful about their relationship with devs in general, including us. That could be because of our smaller size, our lack of clout, whatever, but we understand they have to be very careful because they want VR to be awesome. Koriel: Especially for their first launch, they want seated experiences. As things continue, there should be more games that have you just walking around. Devs who have been working for at least a year find they have their “VR legs” — this is probably how the public will be after the first couple games. What’s been the most rewarding part of developing with OR? The most challenging? John: On a technical level, it’s pretty simple. Oculus has given us a lot of tools and methods to implement basic head-tracking and more, especially paired with the Unreal Engine. However, there’s a lot of hidden difficulties to working with VR. Yeah, there’s some rendering issues to be resolved, but the big bother is basically this little device itself [holds up Rift]. So you’ll be testing something, then gotta put this thing on, find your mouse and keyboard, run the tests, take this thing off, and set it down — try doing that for four hours, and your brain just starts melting from constant adjustments between VR, the computer screen, and reality. …unpolished content is just frightening. Something weird happens, and there’s a bug, and something clips into your head. Or the frame rate is off, and it makes you feel out-of-body. 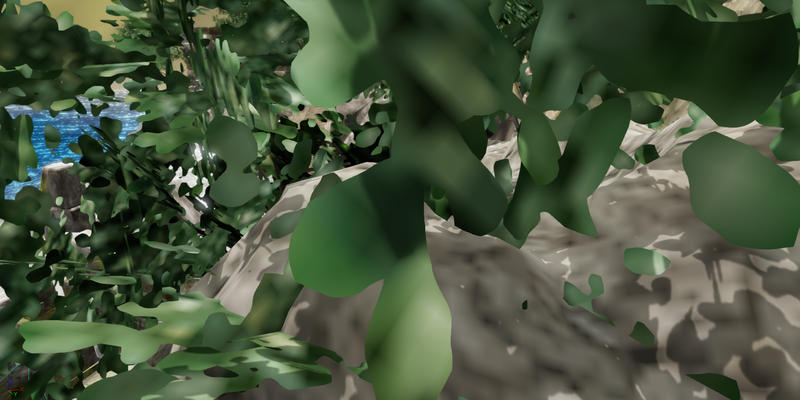 Sometimes after a couple hours devving with VR, I just feel kinda weird. I’ve experienced motion sickness from boats before; you just feel bad for a little while, anywhere from 10 minutes to an hour. It’s especially weird when you’re not actually moving. I mean, on a car or a boat, your brain knows why it feels bad — with VR, you get confused. Koriel: As far as our development goes, we are making sure that the experience we create will be comfortable with the Rift. From movement speed to the lack of head-bob in Rift-mode, we are listening to all the issues that current VR games are facing and trying to make sure that XING will be a pleasant experience. Textures must be high-res, the HUD must be barely there or non-existent, and players must be allowed to take breaks. James: The locomotion issue is key because you don’t want the vestibular system in your ears to freak out, so being in the cockpit of a fighter jet is a good scenario. When the fighter jet changes directions, the sudden shift in movement makes sense to your ears, because it’s the ship moving and not the player. In first-person shooters, like Portal or TF2, I can actually turn my head to look all the way around, but when I use the handheld controller to do it, my body is confused. John: This also happened with DOOM back in 1993— people got sick playing it, even though it was just on a screen. Our generation has been raised on 3D graphics, so we don’t have a problem anymore. Put someone older in front of Call of Duty and they’re going to feel sick. How does the Rift contribute to the kind of experience you hope to give people with XING? Koriel: We’re interested in letting people experience XING at their own pace. With VR, pacing is important, and XING embodies that. It’s probably gonna be a lot easier for people to handle [than FPSs]. What will the difference in experience be between Rift-XING and non-Rift-XING? John: NONCULUS. Ehem. We’re on the cusp of VR tech actually being sound. Because we’re developing on brand new tech, it behooves us to make an experience that’s good even without it. 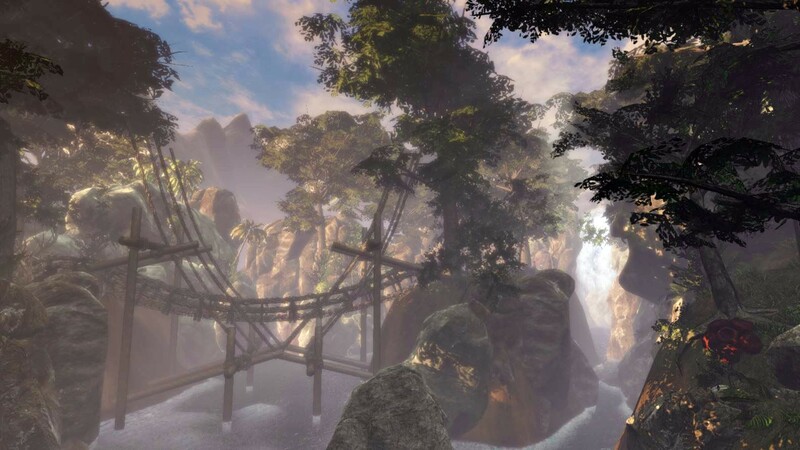 Nine times out of ten, we play XING on a monitor, even though it’s designed with VR in mind. James: That has to do with the logistics of how we develop too, though, since that’s naturally on a desktop. 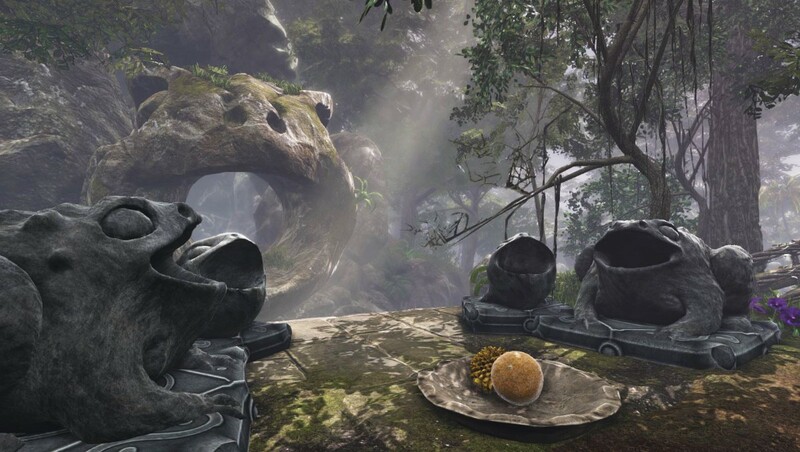 If Oculus or Sony nails hardware, if they make that experience as seamless as possible, the XING experience on the Rift will simply be more immersive. You’ll get that sense of depth and presence. John: I guess the difference is like a movie being in 3D or not. Some people really like ‘em. I don’t, personally. James: We had someone come over to the booth whose eyes were misaligned. When we gave him the opportunity to try our Rift; he declined, saying he “simply wouldn’t enjoy it” — but would buy our game anyway. You guys were just at GDC. What were people most excited about/impressed by? John: This is definitely the year of VR. There are so many companies doing things with VR; when we walked on the floor, you would constantly hear people mention Oculus in passing. James: As far as XING goes, first they were intrigued by the booth, because it was a floral haven of awesomeness. Then by the game itself; people were impressed that the fact that it was done by a team of just three people — and that it was on the Rift. John: For a lot of people, XING was their first VR experience, with what we thought was a really awesome demo. Not to pat our own backs, but we didn’t get any negative responses. I’d say that’s a pretty good metric to show that people are at least interested in VR. Your reaction re: Sony’s Project Morpheus? John: Sony’s done a lot of experimentation with VR, well before Oculus was a company, back when Palmer was a baby. But so far they haven’t found much consumer success. 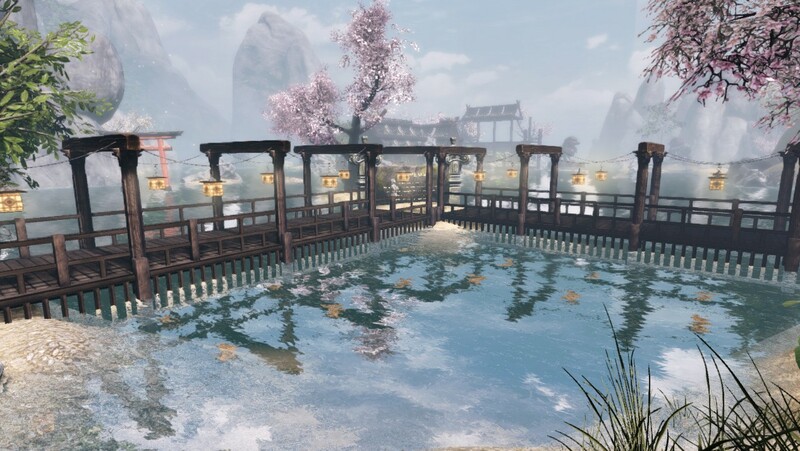 White Lotus is interested in developing awesome VR content that is translatable to whatever VR tech is out there. We don’t care if it’s Oculus or Sony or whoever, because more players just invites more competition, more collaboration, and making more cool things. And the 2nd gen dev kit (DK2)? 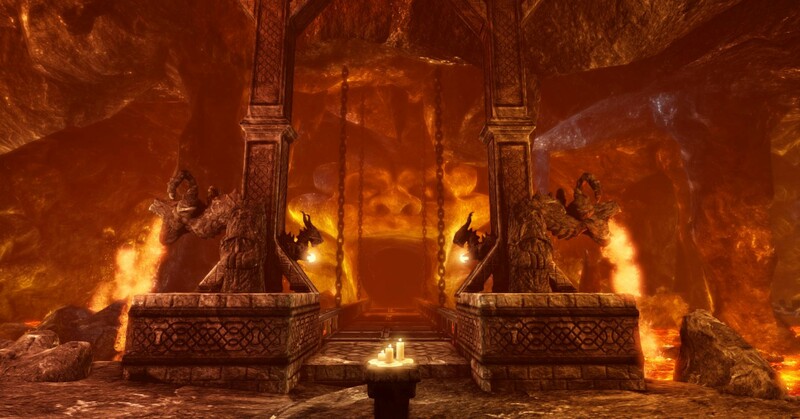 James: Have you checked out Oculus’ new video on DK2? John: As far as positional tracking and whatnot, we can’t wait to support everything Oculus puts out. Once we get our DK2, we’ll see how it changes things and make adjustments accordingly. What do you see next for VR? Do you think we’ll go back to the arcades? John: I’d be excited to see that, because there are a lot of VR experiences that lend themselves to a 5 minute chunk. For example, I can imagine our mine cart demo being in the arcades. Like if you had a nickel — ok, a dollar. I see a very natural place for large, well-designed VR units to be in an arcade, where you don’t have to worry about space. I’m just speculating, but with modern tech you could make a VR machine that could play a lot of different content, and in that sense kind of represents the old cabinet style of the 90s. James: That said, I think Sony and Oculus are trying really hard to make it an at-home experience. If it were in the arcade, though, it could be really cool. Valve was demoing a walkable VR experience at Steam Dev Days — we didn’t get to try it, but it was apparently really amazing. People approached a cliff and were told to jump off, and apparently half the participants didn’t because it was so disorienting and immersive. The setup for that hardware included the room: QR codes were all over the walls, and you needed the surrounding space to walk around. I was actually talking with my dad this morning at breakfast about VR experiences outside of gaming. In education, instead of going to Egypt to see the pyramids, you could go in VR; you could even see the pyramids as they were in any era. Or Rome, or wherever. My dad is a nuclear engineer and has to do a lot of consulting in outside countries, as far away as China, and it’s always a big deal to show a problem in 3D space. You have to take a lot of photos and make a detailed description. If you could replicate problems in VR, you could show it more directly to someone else. John: We talked to a company at Steam Dev Days called Condition One that is doing exactly that. They made a rig — I guess they’re calling it an omnidirectional camera — to capture the scene from all angles, so with the Rift you could look in 360 degrees and see what’s happening everywhere. 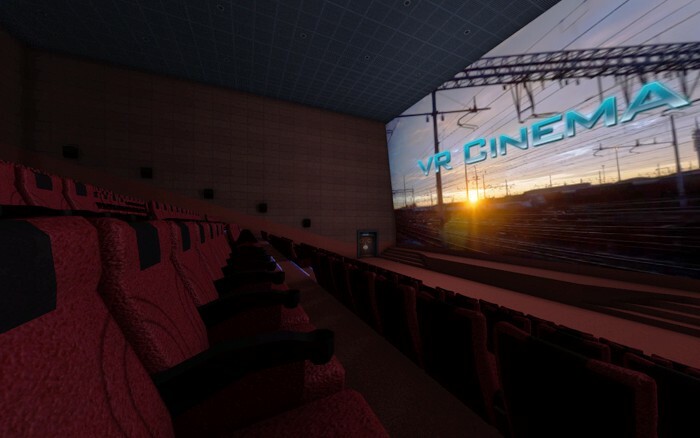 There’s also an app that’s very popular among VR devs right now — VR Cinema, like VLC for the Rift. James: You can walk around the theatre and sit in any of the seats. John: The screen feels like the IMAX. There’s been jokes like there should be someone kicking your seat and throwing popcorn. Then there’s a Super Nintendo simulator for the Rift. It puts a crappy little TV in front of you, and you can play any Super Nintendo game in a virtual bedroom. 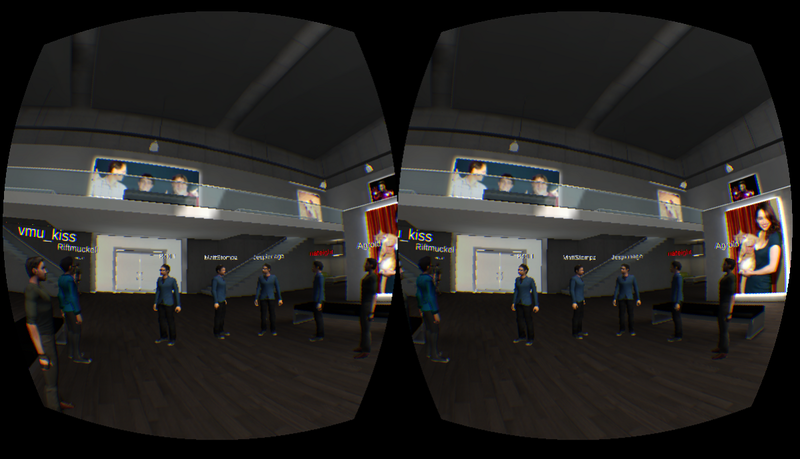 One interesting thing: they’ve been doing social experiments with VR. There was a big event earlier like a chat room in a VR setting, like a Second Life sort of situation, where you could look at other people’s avatars and chat with them via voiceover. Koriel: Someone took screenshots of this and posted it to Reddit, where half the people were walking around a meeting room with the same model. With the growth of mobile culture, do you foresee any conflict with a device that necessarily confines gamers to one spot? John: In terms of mobile VR, I had one honestly very weird experience. Guy comes up to our GDC booth, tells us to try this headset, it’s Android based. I put it on and it’s just like — oh cool, it’s like an Unreal 3 demo of looking around in a room. There’s no wires, no computer, just a device. It was custom built, essentially the guts of a Samsung S5. It looked to my eyes like it was hitting 60 frames/sec, and he said it was a 1080p screen. So it was like, well, cool, that works! Look ma, no wires. The lines between personal computers and mobile are blurring every day. I just don’t know what’s gonna come of that, but going mobile has some distinct advantages. What other VR titles are y’all excited about? John: Theme Park Studio. 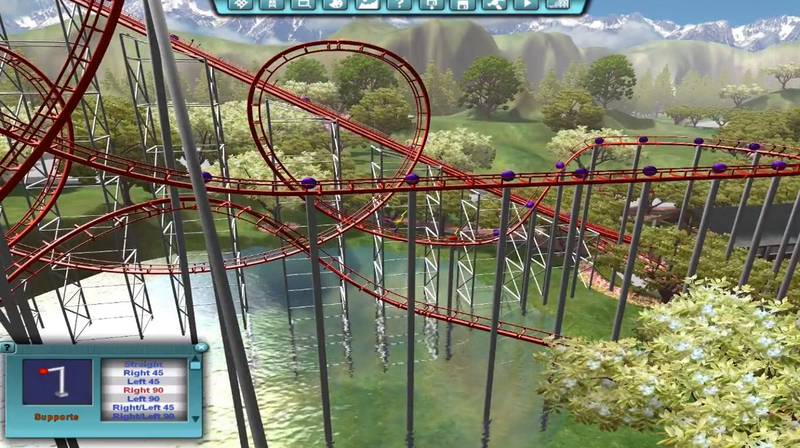 We picture it as a VR Roller Coaster Tycoon: where you ride the roller coaster that you built yourself. James: That dolphin game! Classroom Aquatic. You actually use the Rift as a control mechanism in this game. You’re taking a test underwater, but its in dolphin language, so you have to cheat. The goal is to peek at another student’s answers while avoiding the teacher’s gaze. John: Like we mentioned before, Star Citizen. It’s by the same guy as Freelancer! Finally, we get Freelancer 2. The Gallery: Six Elements is another puzzle adventure game like ours. James: There’s an unofficial version of Pokémon for the Rift! And of course there’s a Flappy Bird. Will VR broaden or narrow the generational gap? Could grandparents be able to play with their grandchildren? Koriel: Our parents have enjoyed it. We had other older folks come over and try it out, and they wanted to play MechWarrior, because that’s what they used to play. John: Dunno if we’ll see grandparents playing VR Call of Duty anytime soon, though. Any expected Frankenstein syndrome? How can people feel reluctance towards an idea as awesome as VR? Koriel: That’s classic Palmer. Best thing ever! Gonna change the world! John: VR has a really bad history in terms of consumers, especially the Virtual Boy. There are a lot of reasons why that was a total disaster, not only because VR wasn’t ready. It was prior to 3D graphics, prior to screen tracking — there have been so many breakthroughs recently that push VR towards an affordable consumer price point. I think you’re always going to get naysayers, sinking ship…, history proves…, but the pieces are in place for success. Koriel: It’ll be a battle of the voices, between people who like it and people who get sick using it and/or think it’s dumb. Who will be the loudest? Alternatively, who has the most money? John: But seriously, at our booth, everyone walked away happy. James: VR seems to be way less controversial than AR. If you’re gaming, it’s socially acceptable to have a big TV and consoles and whatever, it’s not nearly as uncool as, say, wearing something on your face. I don’t think society will pooh-pooh VR a la Google Glass. John: A holodeck! That’s the ultimate in VR: fully fooling yourself into thinking you’re in a virtual environment, no treadmill, no headset. Who knows if Oculus as a company will be there, but clearly they’re a pioneer. They’re the Zenith TV of VR. James: Have you seen Her? and Minority Report? I’m not a tech wizard in this sense, but I think the Rift is the alternative to the holodeck kind of stuff. Until 3D projection tech takes off, it’ll be this. The research that Oculus is doing right now sets up rules and guidelines for the future of VR. Koriel: More like being in The Matrix. John: Yeah, The Matrix is a better analogy than the holodeck. James: Yeah, cause you plug in when you put on the Rift. John: I imagine in the nearer future, the headset will get smaller and smaller, maybe project into your retinas. Maybe via a corneal implant. James: Something wrapped around your rods and cones. John: Let’s leave that to the futurists. Massive thanks go to White Lotus Interactive. 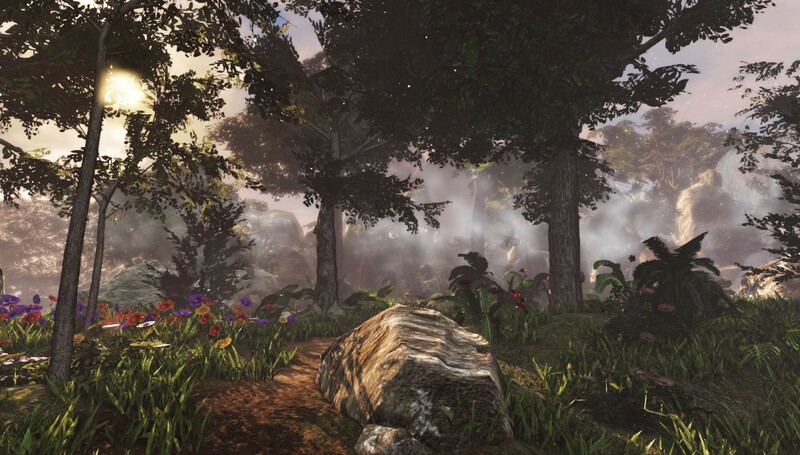 XING is expected to be released via Steam in the second half of 2014. Follow the XING dev blog to keep track of the latest from White Lotus. They’re on Twitter and Facebook, too.